Driving along the motorway at over a hundred kph, the Jeep in front pulled to the left to let me pass, a pair of butterfly’s danced into my lane about two feet off the ground. About twenty meters ahead. They just missed being flattened, and the Jeeps wake or slipstream didn’t affect them at all. They danced on. Into my path at a butterflutter speed they weaved. Butter fluttering flies. Without a care or the slightest cognition of the imminence of death in the form of my car. They danced on. There are many butterflies and caterpillars about today. It’s nice when they come my way. 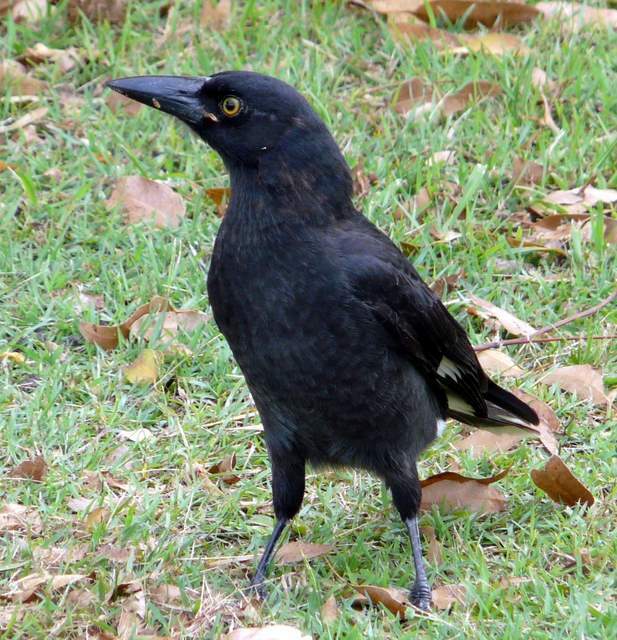 The Currawong thinks so too, for a different reason. He was having a great time feasting on caterpillars around the garden. 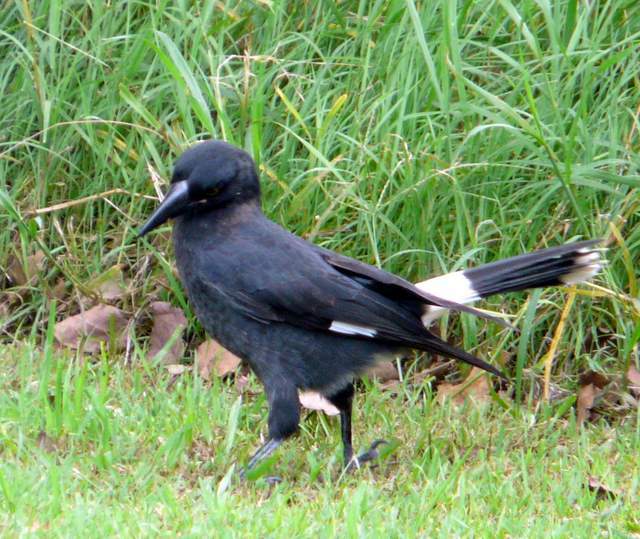 Falling out the side of his mouth they were, as he strutted about in my back yard, eyeing up the food. 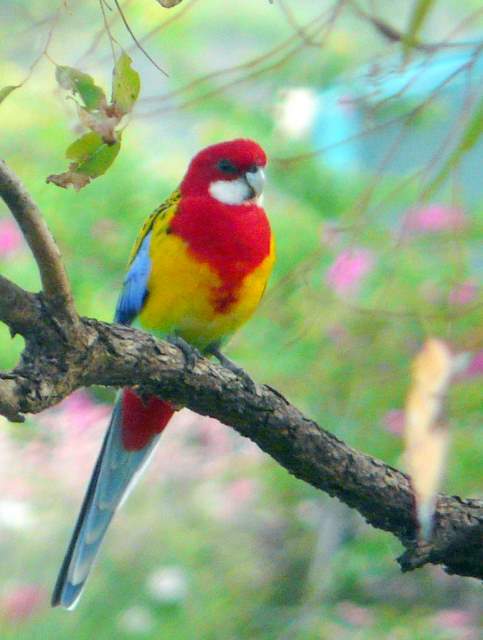 And the lovely colourful Rosella’s came round today too. About five of them at one time. Unusually, one of them sat for me, confident I wasn’t a threat. Given a little time they will get to know me. They like the grass seed and it will be gone soon. It’s about time I set up a feeder for the winter if I want them to be coming round again. And I do. 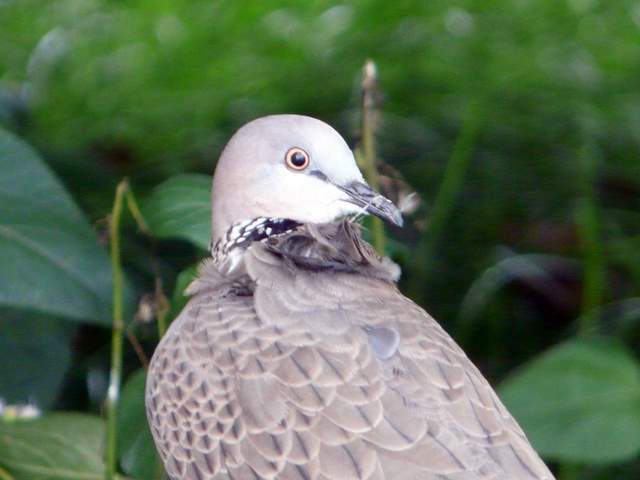 I was wandering about the garden and as I passed the shed I came upon the spotted dove. You can see she is surprised, perhaps frightened. She didn’t know what to do for a few seconds. For a change I was quicker than the wildlife and got her picture. Then she was off under the branches and away. It can take a long time to demonstrate to the creatures there is no threat. Some get it easy and some take time, and food. Food helps when communicating with the animals. It’s the universal language. If you ever know hunger and someone offers you food you will know what I mean. Particularly where it gets cold and grey. 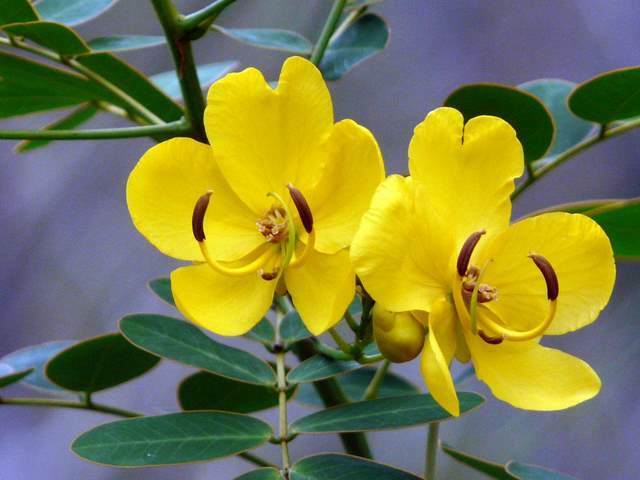 Wild yellow flower, t’was a delight to see in the bush today. There are a few flowering plants around. Purple and yellow was what I saw. The colour really brightens a grey overcast day.